Formally known as Golden Beach, Sunshine Beach was virtually inaccessible to vehicles and rarely visited before the 1920s. In 1928, the developer Thomas Marcus Burke was granted land there by the government in exchange for building roads and bridges from Tewantin. After WW11 it was marketed by his son, Marcus, as Sunshine Beach. During the 1950s, the Chairman of the Maroochy Shire Council, David Alan Low, promoted the construction of a road through the Maroochy Shire along the coast to connect Maroochydore to Noosa. The first section of this coastal highway was built by T.M. Burke and opened between Sunshine Beach and Peregian Beach on April 2, 1960. It was named David Low Way in his honour. 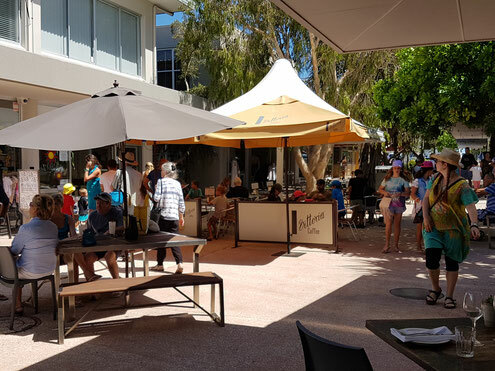 With a laid back, almost tropical feel, Sunshine Beach is renowned for its beautiful beach and leafy dining and café hub, complete with stylish boutiques. 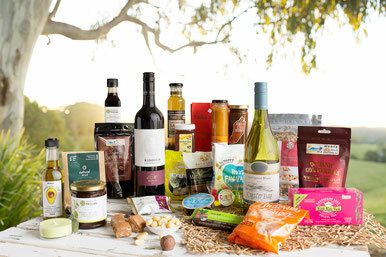 From award winning restaurants to a bakery, deli and even a small general store, all tastes and budgets are catered for. The beach front surf club offers some of the best coastal views on the Sunshine Coast. The beach is patrolled year-round and is a popular surfing spot. North Sunshine runs all the way to the southern entry of the Noosa Heads national park headland, with walking trails up, over and through the headland to Noosa. This section of beach is dog friendly, so popular with local families. Sunrise Beach is patrolled by Sunshine Beach Surf Club during Summer weekends and school holidays. The beach itself is banked by high dunes and overlooked by beach houses nestled on the ridge above. The suburb of the same name is home to a thriving residential community. Those of us lucky enough to call one of the remaining southern beaches in the Shire home, have the enviable position of living in an elongated suburb hemmed between the ocean to the east and the Lake Weyba section of the Noosa National Park to the west. No matter where you live, the beach and the bush are not far away. What makes all this even more desirable is the easy access to every facility and amenity you could wish for. Schools, medical facilities, university campuses, sporting clubs, shopping and dining precincts to name a few, are all within a short drive, if not walk. Castaways Beach has direct beach access from the car park situated on David Low Way. Two pedestrian underpasses give locals easy access to the beach by foot or bicycle. A complete lack of visible houses on the eastern side of David Low Way allows the beach to live up to its name. Marcus Beach is an unpatrolled beach with a designated leash free dog beach to the north. Once again, with a white sandy surf beach that seems to go forever with only sand dunes and bush in sight, it is easy to feel like you are on some deserted stretch of a Western Australian beach. Peregian Beach is the most southerly beach within the Noosa Shire and is a small commercial hub with a village feel. The village itself is a treasure trove of cafes, restaurants and boutique shops and businesses wrapped around a central park. The large beach front park across the road is home to the infamous Peregian Beach markets, held every second Sunday. The surf club is presently closed to patrons but the beach is patrolled year-round by council lifeguards and every weekend from September to April by surf lifesavers from Noosa Heads SLSC. On the other side of David Low Way can be found the Peregian Beach Hotel and an IGA for all your grocery needs. And all of this is on the doorstep of that pristine stretch of beach. If you like the idea of vast expanses of undisturbed beaches while having easy access to every facility you may need, you will love this beautiful part of the Sunshine Coast. Put it on your bucket list now!